As mompreneur and creator of lilywrap reusable gift wrap, Ashley encourages other mompreneurs to be creative and eco-friendly! The stretchy reusable gift wrap ideas came in the aftermath of a family holiday. With so many efforts these days to reduce, reuse and recycle, Ashley and her husband, Ryan, couldn’t believe the number of large trash bags full of wrapping paper. Ashley researched reusable wrapping options like gift bags; but wanted something that still had the look and feel of traditional wrapping paper. She began to experiment with stretchy fabrics and the first Lilywrap reusable gift wrap was born. Ashley went on to earn her Masters of Business Administration degree from the University of Georgia a few months later and decided to leverage her professional background in both finance and marketing to take the next important step to becoming an entrepreneur. As owner, Ashley is responsible for creative direction, brand strategy and overall company success. Daughter of an interior designer, Ashley’s appreciation for style and design started at an early age. Her eye for creativity played an important role in the creation of Lilywrap – from product concept and pattern selection to bow style and ease-of-use. Equally important, Ashley and Ryan have always made it a priority to implement green practices in their everyday life. Lilywrap blends stylish and fun with green and eco-friendly concepts. 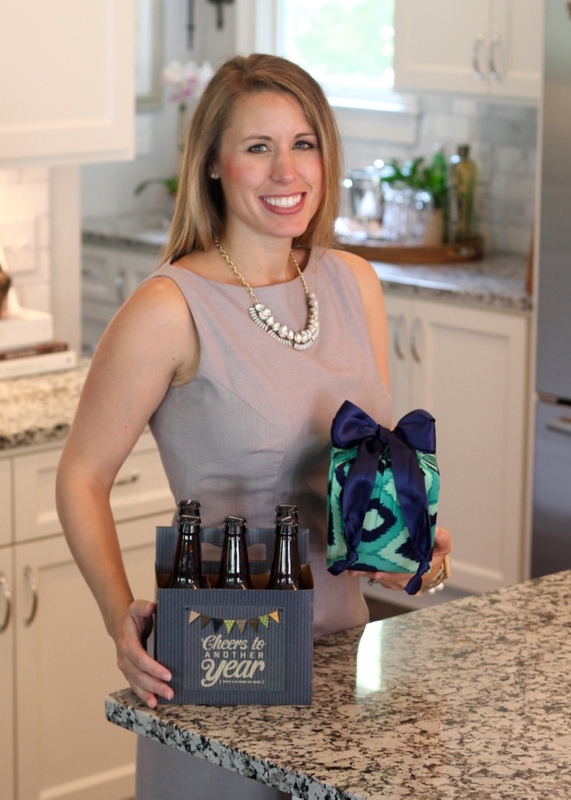 Since founding Lilywrap, Ashley and Ryan went on to launch several more innovative consumer product brands that address everyday problems - big or small, silly or serious - including Beer Greetings 6-pack carriers + greetings cards in one, The Vortex smart thawing device and Pink Drink Camouflage drink drops. Ashley is a graduate of the University of Georgia (Go Dawgs!) where she has earned BA, ABJ and MBA degrees. Her recent honors include being named to the UGA 40 Under 40 Class of 2015 and receiving the SPANX Leg Up award recognizing “amazing women entrepreneurs” from founder Sara Blakely. Ashley resides in Atlanta, Georgia with her husband and two daughters where she is involved at Buckhead Church, the Junior League of Atlanta, and her local Ronald McDonald House.